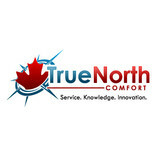 Local, Canadian, family owned and operated since 2008 What makes us different from other service contractors is our knowledge of what is best for families. We educate our clients, to be able to make the best decisions for their families. We give option and honest recommendations such as, repair vs replace, or when building a home or doing renovations, we always have “family” in mind, children, aging parents, or just easy to maintain plumbing systems. We will always give our opinions but at the end we will leave it up to you to decide what is best for your family. You can be confident that our team will provide the right solutions for your needs, always stick to the price that was quoted, and treat your home like it was our own. 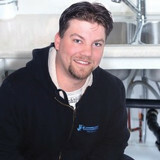 Call us today 604-479-2232 and experience the difference JJ’s plumbing offers. Believe it or not, plumbing and heating is more than wrenches and pipes. 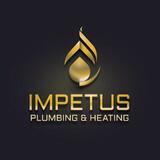 As a full service company, serving Bellingham, WA. & all of Whatcom County we're proud to walk our customers through the construction or repair process. Whether it's stopping by in the middle of the night to repair a leak, or putting the finishing touches on a remodel, we'll be there for you. 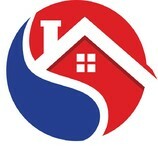 We look forward to continuing providing excellent service to homeowners and contractors. The Gary's team is about building relationships. We cater to all referral customers as we would a long term customer, because you deserve the best! For over 50 years we've served the plumbing, heating, air conditioning and drainage needs of the Lower Mainland - with special emphasis on Langley, White Rock, South Surrey, and Abbotsford, BC. 24/7 Emergency Services available! If you're local just call 310.9625. We often refer to the "Lewis MacLean family of companies" – with emphasis on the family part. That's because we are a family owned company, helmed by Master Technician George Lewis and Service Innovator Lynn MacLean. Sullivan Plumbing has been servicing Whatcom County since 1966. Our policies are established with the customer being of #1 importance and that has allowed the company to continue to grow, both in reputation and size. At Sullivan Plumbing, we are very proud to say that our repeat customers and customers who refer us make up over 90% of our service work. We treat people and their homes with respect and professionalism with every call our technicians perform. All of the technicians at Sullivan Plumbing have been trained in the latest equipment and service procedures so you get the most efficient and complete service available. We are certified warranty agents for all major water heating manufacturers and our technicians are factory trained. All of our technicians come to your home with a fully stocked plumbing van so there is no back and forth to get parts. A plumbing contractor handles the installation and repair of water, sewage and natural gas pipes throughout a home, as well as interior and exterior faucets and fixtures. Plumbing contractors are also trained to work with water mains, septic tanks, laundry appliances, water heaters, sump pumps and other plumbing and pipe systems. Because plumbing repair work is done largely behind walls and beneath floors, some plumbing companies can also patch or replace tile, stonework and other surfaces. Although some Pitt Meadows plumbers are generalists, others specialize in specific areas; a 24 hour emergency plumber will handle urgent residential repairs, while others may be more skilled in remodeling, natural gas lines, overhead sprinkler systems and more. 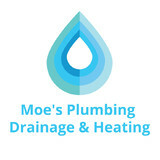 Find a local Pitt Meadows plumber on Houzz. Narrow your search in the Professionals section of the website to plumbing contractors in Pitt Meadows, BC. You may also look through photos of Pitt Meadows, BC projects to find a licensed plumber who has worked on a project similar to yours. Here are some related professionals and vendors to complement the work of plumbers: General Contractors, Septic Tanks & Systems, Kitchen & Bath Designers, Kitchen & Bath Remodelers.